WE take this opportunity to thank our many friends and patrons for their liberal patronage during the past season. 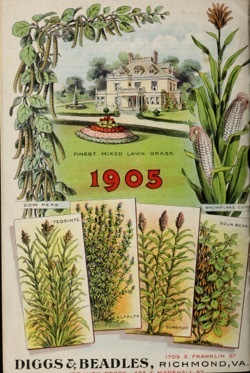 That our business during the season just passed was more than double that of 1903 proves the high quality of our seeds and our manner of doing business. 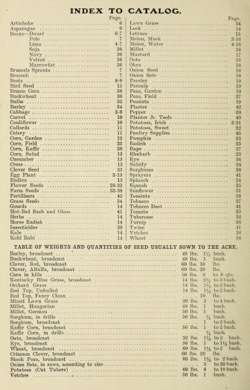 We have increased our facilities for carrying on the business and serving our customers, and to those who have used our seeds we need say nothing in their praise, as the quality of our seeds speak for themselves, but to those who have never used them we respectfully ask that they if you are once a customer you will continue to be. We make quality our first consideration always, and we believe our prices are as low as the same quabty goods can be bought for . 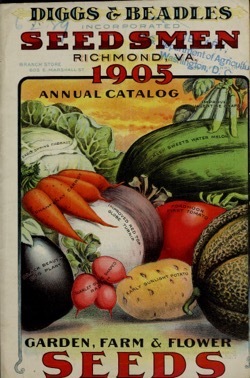 Soliciting your continued confidence and patronage, and wishing all a happy and prosperous year of 1905, we are. Richmond, Va., January 2, 1905. 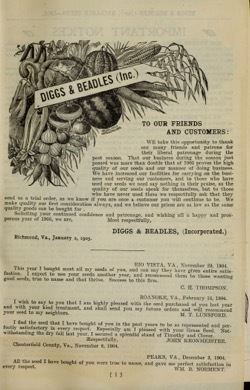 Publisher Richmond, Va. : Diggs & Beadles, Inc.
Categorized under: Books, Food, Fruit, Garden History.